For your child from foster care to truly have a chance to succeed, you as a foster parent must lead the charge and blaze a path as an advocate, fighting for your child's every chance. Most likely, you will be the only one fighting for your child, as the caseworker and teacher are overwhelmed with all they have to do. Therefore, it is up to you. You need to become as involved as possible. The more active foster parents are in school and activities, the more likely children will succeed. Here are the top eight things you can do to help your child from foster care succeed in school. Reach out to school employees and form a positive working relationship with them. Let school counselors, teachers and administrators know that they can always call or email you if needed. Also obtain contact information from your child's teachers. Attempt to remain in regular contact with them. Use all forms and means of communication. Through text messages, email, cell phones, Facebook, Twitter, and other social media platforms, there are numerous ways to reach out to teachers and school employees. It is essential that you remain up to date with your child's progress, both with academics and behavior. Not only should you as a foster parent request regular behavior updates from the child's school, but a responsible foster parent will provide such information to the school as well. 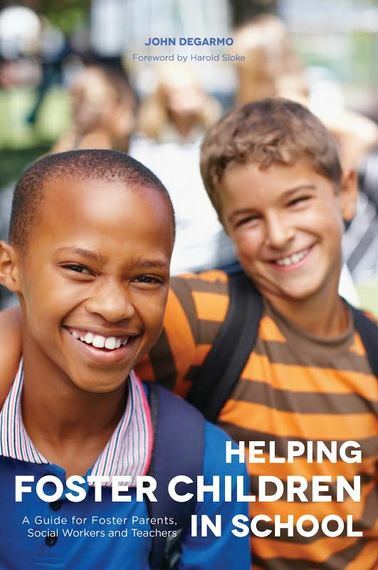 If your foster child is having a particularly difficult time at home, let the teachers and counselors know, allowing these educators to be prepared and equipped to handle any difficulties that might come their way. Visitation day can be hard sometimes. It is likely that your child from foster care will have a difficult time concentrating and focusing on school work the day of a visitation, and many times the day after, as well. When your child is having a emotional or challenging time with visitations, you can help your child by informing the teachers beforehand, giving them some notice in advance. A note in your child's school agenda, an email, a text message, or a phone call are all means that you can use to notify teachers and school counselors. Along with this, you can suggest to the child's caseworker that visitations and medical appointments be made after school or on weekends, in order to not miss any more days of school, so the child doesn't fall even further behind. School work will likely not come easy. Foster children, in general, tend to perform below level in regard to both academic performance and positive behavior. And most children in foster care are behind in math and reading skills. It is important that you and the child's teachers set realistic goals for the child. Find out where the child's learning ability and level of knowledge is, and work with him at this level. Talk to your child's teachers about his/her abilities and if any accommodations need to be made. You should encourage your child to set goals and expectations, and celebrate every success, no matter how big or small they may be. Your child from foster care is depending on you to help him, not just in your home, but at school, as well. Quite simply, if you don't help him succeed, who will? For more, pick up Dr. John DeGarmo's book Helping Foster Children In School: A Guide For Foster Parents, Social Workers and Teachers. Dr. John DeGarmo has been a foster parent for 14 years, now, and he and his wife have had over 50 children come through their home. He is a speaker and trainer on many topics about the foster care system, and travels around the nation delivering passionate, dynamic, energetic, and informative presentations. Dr. DeGarmo is the author of several foster care books, including the brand new book Faith and Foster Care: How We Impact God's Kingdom, and writes for several publications, including Fostering Families Today magazine. Dr. DeGarmo is the host of the weekly radio program Parent Factors with Dr. John, and represents Legal Shield. He can be contacted at drjohndegarmo@gmail, through his Facebook page, Dr. John DeGarmo, or at his website.